Econotech was very excited to announce our completely re-designed reburned lime analyzer at this years TAPPI PEERS conference in Atlanta. There was a lot of interest shown at our booth and we expect this to be a highly in-demand product. July 14, 2015 - Our newest employee. Econotech welcomes our newest employee, Johnson Wong. 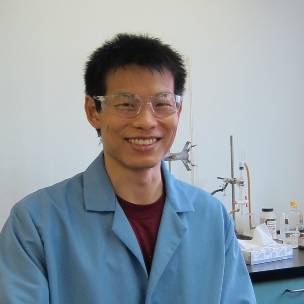 Johnson has a bachelors degree in chemistry from Simon Fraser University and previous experience at ALS minerals laboratory. He is working in our pulping and bleaching group and turning out to be a great asset. July 14, 2015 - Our summer student. 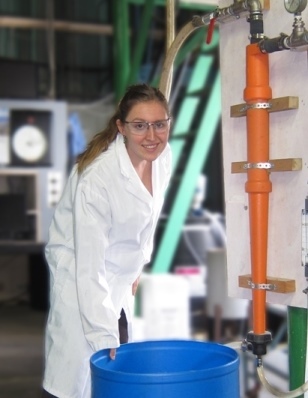 We have the good fortune to have an excellent summer student working for us; Vanessa Van Aert is studying chemical engineering at UBC and has previous experience at Quesnel River Pulp. 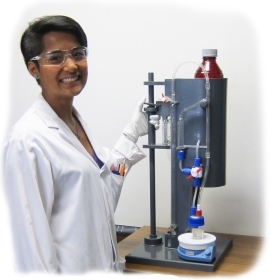 She's doing a great job for us in our pulp & paper testing group! June 17, 2015 - Our newest employee. Econotech welcomes our newest employee, Kimberly Saw. 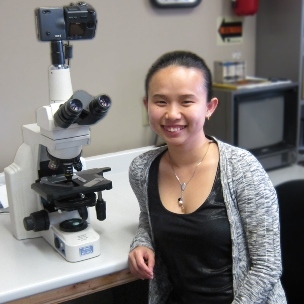 Kimberly is working in our microscopy group where she has been busy examining fibers to identify the various tree species that were used to make the pulp. She is also working on asbestos identification projects. February 5, 2015 - TAPPI top 20 under 30! We are very proud to announce that our Sabrina Burkhardt has been recognized by TAPPI as being one of the top 20 professionals under the age of 30. Sabrina has been busy with the TAPPI Young Professionals at both PEERS and PaperCon conferences. She is also serving on the bleaching committee. Congratulations, Sabrina, on this well-deserved honour! June 06, 2014 - Upgrading lab instrumentation - new ion chromatography system. Another improvement in our lab! Lien Vu, with Econotech since 1995, has been getting our new Dionex ICS-5000 system operational. We routinely used our old instrument to measure anions and sugars so we're very happy to have a new version of this important tool. May 13, 2014 - Interns from BCIT. 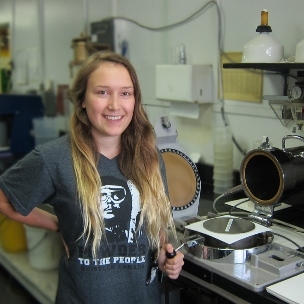 Two British Columbia Institute of Technology interns are gaining valuable work experience with us this week. 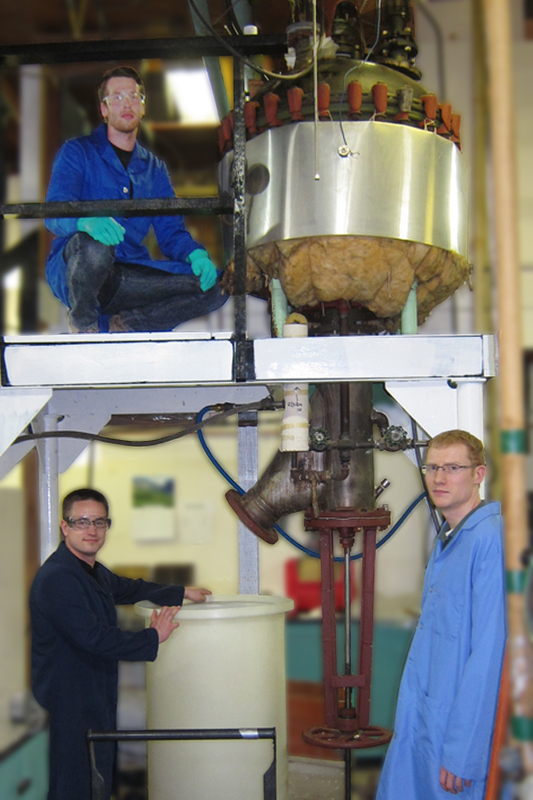 Pictured working on the Pfaudler glass-lined, stirred reactor are Pat Snelling (top) and Sean McConnell (bottom-left). Our technician, Brad Wishart, is supervising. 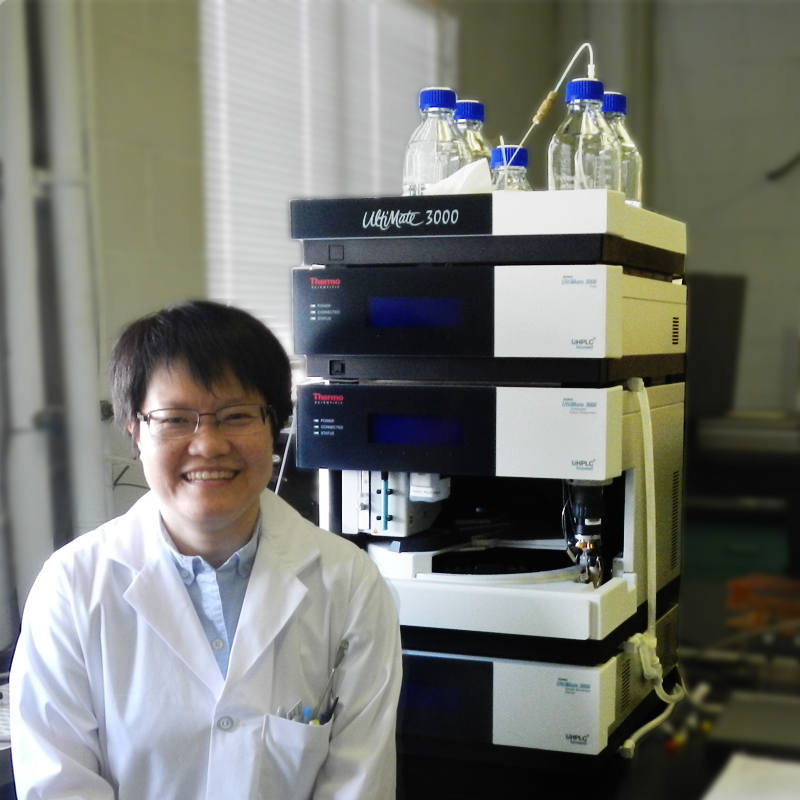 April 15, 2014 - Upgrading lab instrumentation - new HPLC. 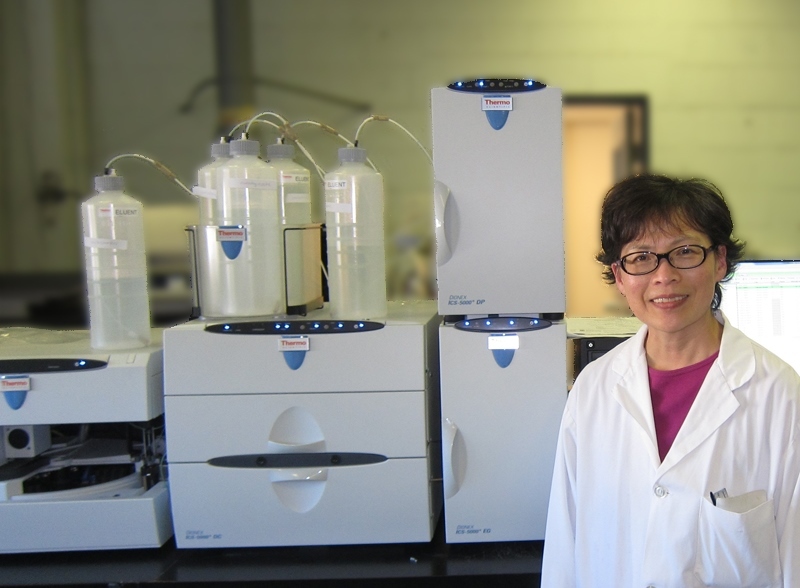 Annie Fu is pictured with our newly installed Dionex HPLC. Our old unit had served us well doing frequent analyses for formaldehyde and anthraquinone (AQ). This new ultra-high pressure model should give us enhanced capabilities.